Zvezdnaya hotel in Moscow near Ostankino and VDNKH. The hotel was built in 1980, but after the last major renovation in 2017, it meets all the standards of a modern and comfortable hotel. The hotel has a decent level of service, it is assigned the category of “three stars”. 2 conference rooms 40 sqm and 100 sqm. 1.1. These Rules are developed according to standard rules of providing hotel services in the Russian Federation (in edition of Orders of the Government of the Russian Federation of 09.10.2015 No. 1085 and regulate the relations in the field of providing hotel services (further services are called). “contractor” – JSC “Hotel “Star”, was 7717029782, bin 1027739614913, KPP 771701001. 2. Order of registration of accommodation in the hotel and payment services. 2.1. “Contractor” has the right to enter into a contract for booking hotel rooms by drawing up a document signed by the two parties, as well as by accepting the reservation request by telephone, Fax, electronic and other communications, allowing you to reliably establish that the application comes from the consumer. Reservation is valid on condition of “Consumer” arrival till 19.00. In case of delay of the “Consumer”, subject to availability in the hotel, it will be charged for the actual simple room (room), but no more than a day. In the absence of seats previously booked by the “Consumer”, “Contractor” provides a room of a higher category, followed by transfer at the request of the consumer in the room category booked earlier. Timely cancellation of the Application exempts the ” Consumer “from paying any compensation to the”Contractor”. 2.2. Registration of citizens arriving at the hotel and departing from it is made around the clock. registration of foreign citizens in Russia). When registering FOREIGN citizens having patent are required to present a receipt for payment of the patent. 2.3.1. Guests can stay in the hotel from 8.00-23.00, subject to a pass. The pass is issued by the duty administrator at the reception Desk, only with an identity document. 2.4. If desired, the consumer has the right to pre-inspect the room offered to him in the hotel. 2.5. Payment is made on the day of arrival, in accordance with the price list, which determines the price of the room (room), set by the “Contractor”. The price of the room depends on its category, level of comfort and the number of seats in the room. “Contractor” defines the list of services that are included in the price of the room (room). Payment for services rendered by the hotel can be made by cash or non-cash payment. Payment cash and credit cards to be made at the box office in the service of reception and accommodation, clearing is carried out by transfer of money resources on R/the account of the hotel. All types of credit cards are accepted. 2.6. Subject to availability “Consumer” has the right to occupy a double room in full. 2.7. Payment for accommodation will be charged in accordance with the uniform checkout time – from 12 o’clock current day local time. (Amendment of October 9, 2015) for accommodation of the consumer from 0 hours 00 minutes to the established check-out time, the fee for accommodation is charged in the amount not exceeding the fee for half a day. from 12 to 24 hours after checkout time – full day fee. 2.8. If you use extra beds in the rooms to set the price of extra bed-1350 rubles, including Breakfast. In the rooms “Economy” set the price of an extra bed-750 rubles with Breakfast. 2.8.1. 2. The cost of the first rooms(single, double, except rooms of category “Economy” and rooms with kitchen (apartment “family”) and higher (business comfort, Studio, Suite) included Breakfast, when paying for rooms at least a day. 2.9. The period of stay in the hotel is not limited. 2.10. When carrying out monetary transactions “Contractor ” issues” Consumer ” cash receipt, as well as when leaving the hotel the final bill for accommodation, confirming payment for services rendered. Invoices are issued in the accounting Department of the hotel upon presentation of a power of attorney from a legal entity with the following details: name of the organization, legal address, INN, CAT. 2.11. 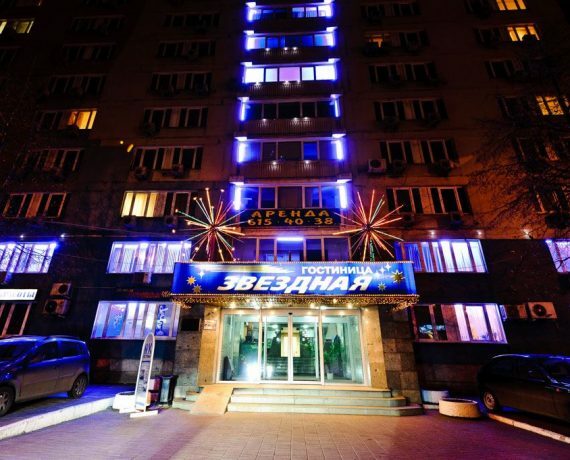 “Consumer” must abide by the policies of JSC “Hotel “ZVEZDNAYA”. 2.12. “Consumer” in accordance with the legislation of the Russian Federation compensates for damage in case of loss or damage to the property of the hotel, and is responsible for other violations of the rules of residence. 2.13. The hotel administration is not responsible for the valuables in the room. 2.14. In case of late payment or non-payment of the room, the hotel reserves the right to release the room occupied by the guest and take it in a common queue. With the release of rooms from living things to create a Commission from representatives of the hotel, an act, a certified property and belongings are carried into the storage chamber. 2.15. Each consumer placed in the hotel” Zvezdnaya “in accordance with the terms of this” Procedure “agrees with the processing of his personal data. 2.17. Children under 18 years cannot be accommodated at the hotel unless accompanied by an adult. 2.18. Registration of accommodation of minors in Hotel is made in the place of stay (hotel room) of its legal representatives (parents, adoptive parents, guardians, other persons acting on the basis of the notarial arrangement) on the basis of the birth certificate (till 14 years), the passport (from 14 till 18 years) and the identity document and powers of the legal representative. 2.19. Registration of individual residence of minors at their group arrival (sports teams, creative teams, etc.) is carried out on the basis of the documents of minors specified in paragraph 2.18 of these rules and the document proving the identity and powers of the legal representative of parents, adoptive parents, guardians, and other persons acting on the basis of a notarial power of attorney. 2.20. Minors at the Hotel at default PPT 2.16,2.17,.2.18 of these Rules, is not allowed.